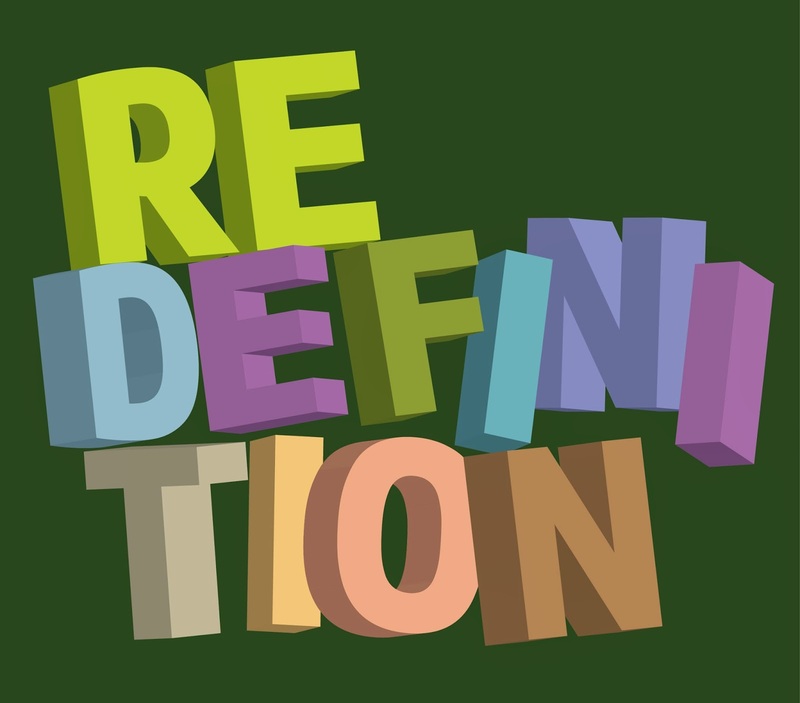 The 2015 Redefinition Fashion show, which is an annual event, is tagged ‘Retro rave’. Many might wonder what this is about. Basically, the fashion show is to show forth life in the past, i.e. designs and outfits worn by our parents and possibly, grandparents. The show is to take us on a time travel, from the 1940s down to the 1980s. One major characteristic of these fashion trends was the exaggeration created with the styles worn. 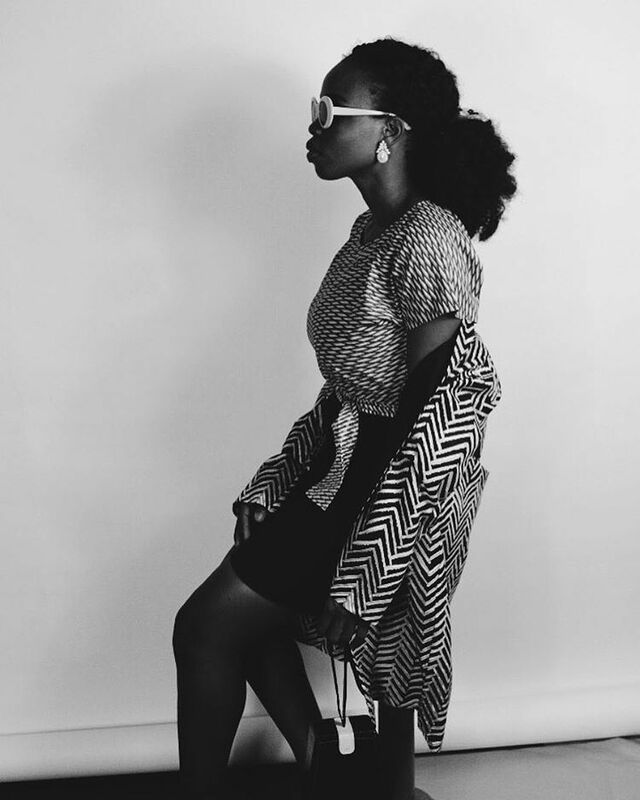 Ranging from large shoulder pads to bright red lipstick and over-lined eyes, men were noted for funky jackets, afro hair, big sunglasses and hats. 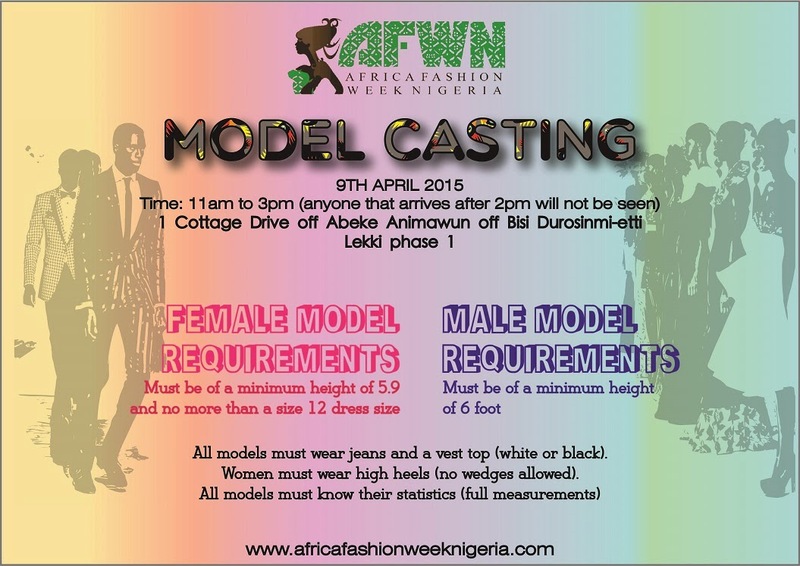 We are calling on all Models & Modelling Agencies to attend our Casting Call happening on the 9th of April, this is in preparation for the Africa Fashion Week Nigeria which will be holding on the 23rd & 24th of May 2015, at the Eko hotel. Lagos Nigeria. 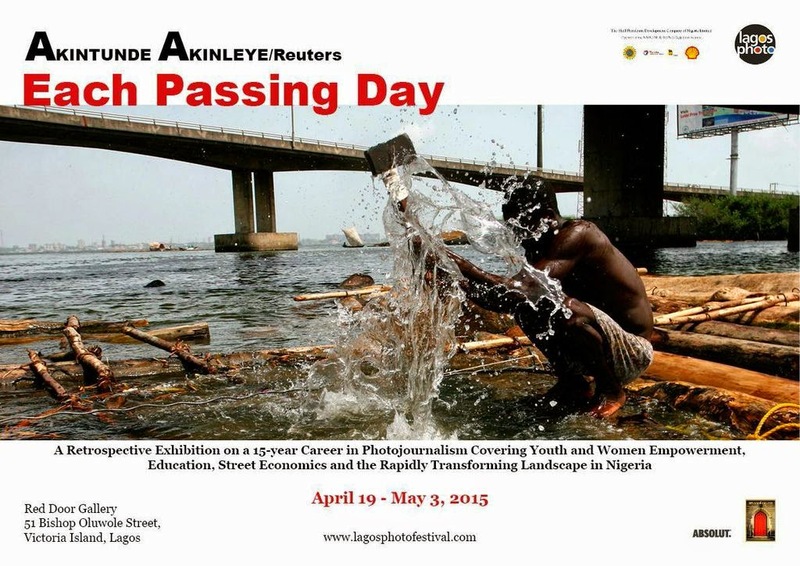 The Lagos Photo foundation will be hosting an opening reception of Akintunde Akinleye's solo exhibition entitled Each Passing Day. 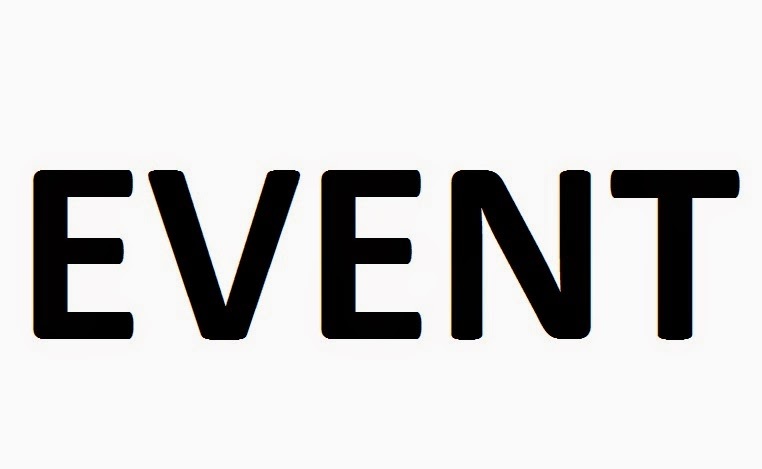 Venue: Red Door Art Gallery, 51 Bishop Oluwole Street, Victoria Island, Lagos. Each Passing Day is a careful selection from the hundreds of thousands of single images, extracted from different documentary projects and spot news events, which were inspired by the Nigerian space during the last decade and now. This exhibition showcases Akintunde’s photography documentation of Nigeria by bringing together photographs categorized to reflect series of unrelated events and activities of the daily lives of ordinary citizens in Nigeria. The pictures depict a truthful rendering of each passing day in the life of resilient Nigerians and show the political, social and physical landscape in which we exist. Akintunde Akinleye, is the first Nigerian Photographer to have been awarded a prize in the prestigious World Press Photo, Netherlands in 2007 with an iconic photograph of a man rinsing soot from his face at the scene of an oil pipeline explosion in Lagos, December 2006. An award fellow of the National Geographic Society- All Roads photo project, Akintunde currently lives in Lagos and works for Reuters covering breaking news, documentary pieces and human interest stories. The Akintunde Akinleye Exhibition is brought to you by The Shell Petroleum Development Company of Nigeria with its joint venture partners and the LagosPhoto Foundation. Don't forget to catch JOEL LANI at the mente de moda on sunday also. This is nice. You should put it on the lagos expats page for people like me who've no idea what to do or where to head out at times.